Apologies for the HUGE gap in posts. I've been super busy (no excuse, I know) and I also changed jobs earlier this year. I'm now working for Nickelodeon Animation Studios in Burbank as a Supervising Producer in their development department. Hopefully I'll be able to share some of the work that's been going on there in the near future, but for now it has to remain under wraps! 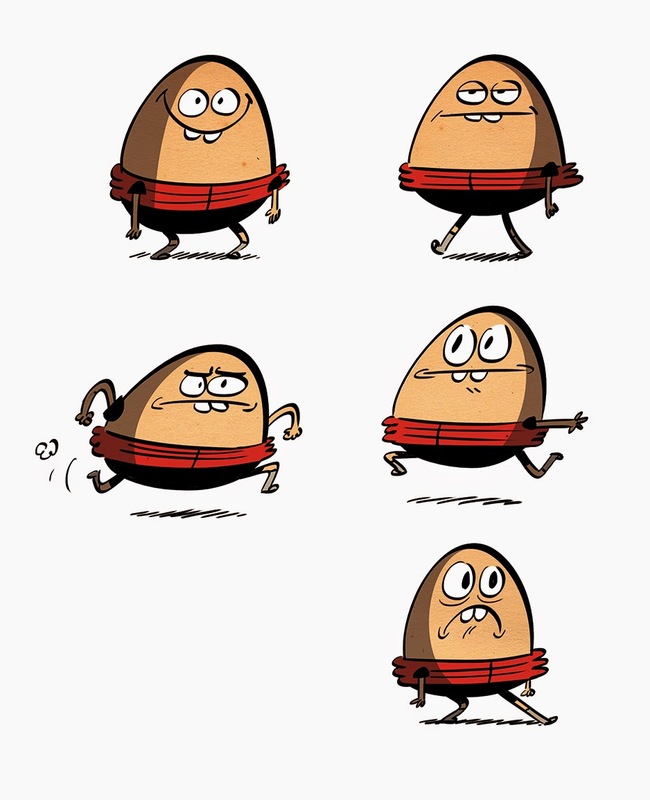 In the meantime here's a bunch of new comic stuff that is part of an awesome new, all-ages, and completely free, online comic called Moose Kid Comics, created by UK based comics ninja Jamie Smart. 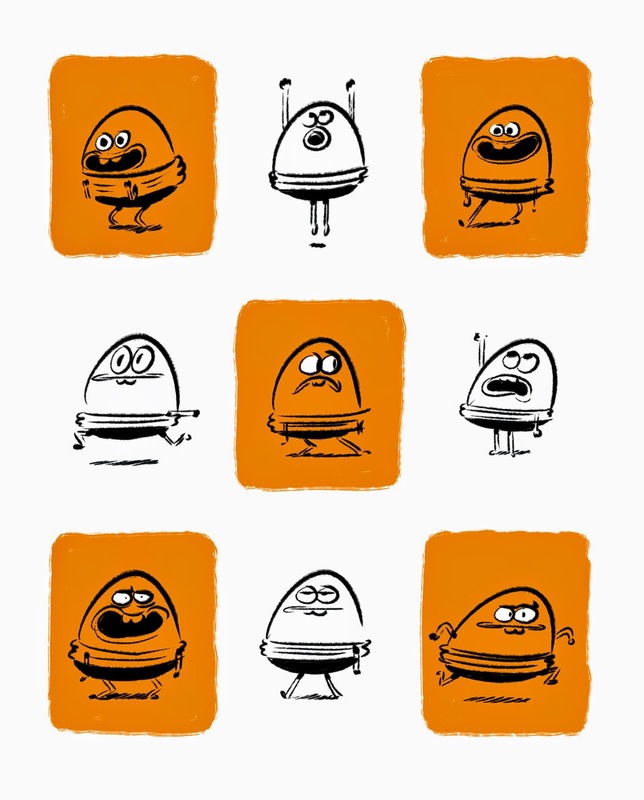 The comic has a ridiculously exciting cast of great comic artists (including Alan Martin, WJC, Tom Paterson, Rikke Asbjoern, Andreas Schuster, Tom Plant, Gary Northfield and many, many more) and a whole host of fantastic new characters! PLEASE check it out and spread the good word! 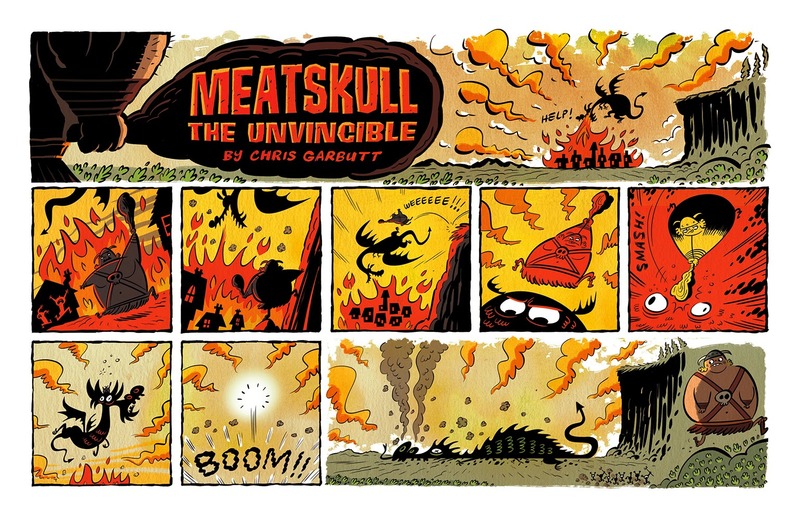 I worked with Jamie as an editorial consultant on the project and I also have two strips (below) with two brand new characters, Scrambles and Meatskull the Unvincible! Hopefully this will be the first of many issues to come! 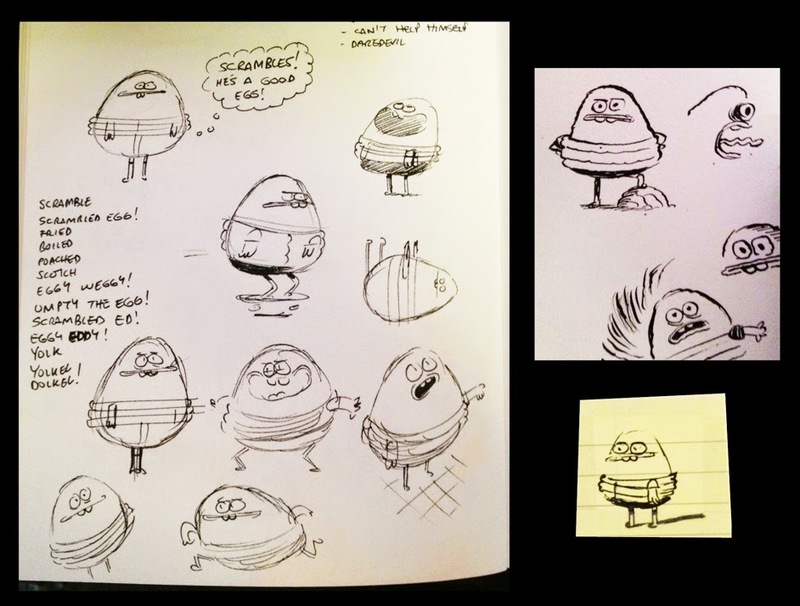 Below is some of the development work, sketches, etc, I made whilst working on the Scrambles character. The strip below was a test comic page I did for when we were trying to figure out at what format to produce the comic. 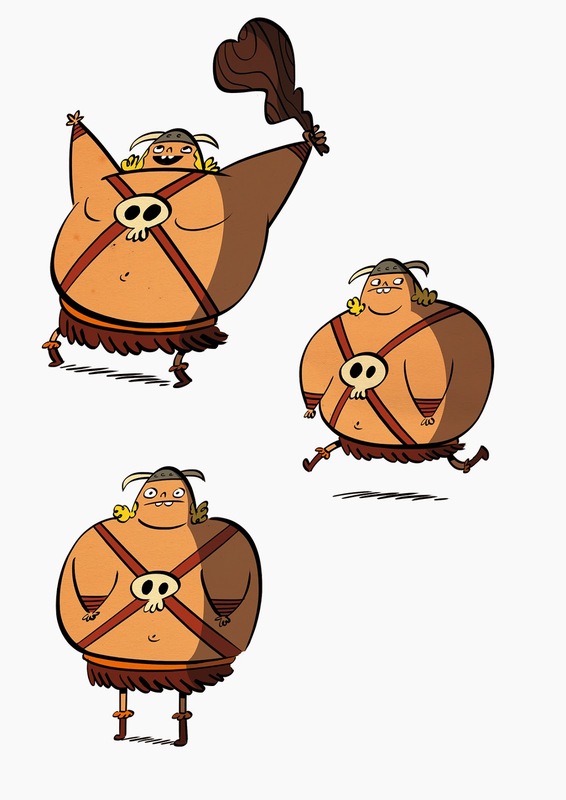 And below are some extra drawings of the brainless barbarian, Meatskull!